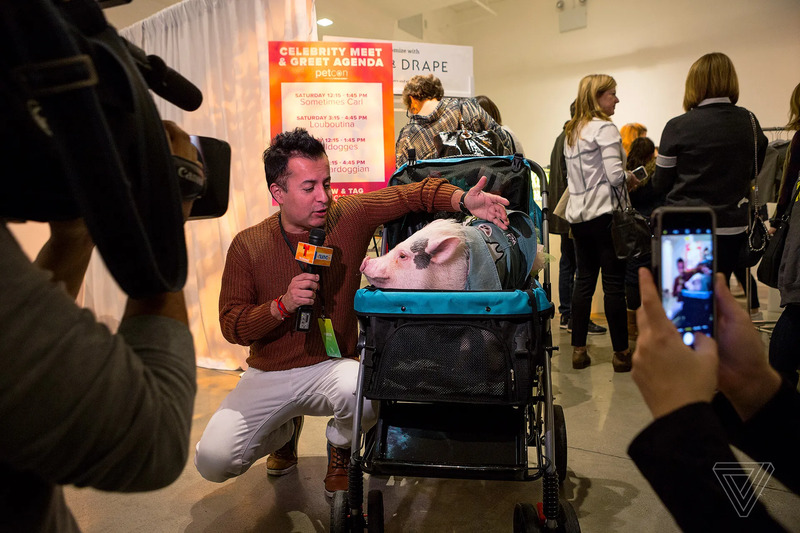 This was my first year attending PetCon NYC (https://www.petcon.co/), held at the Javitz Center and put together by the Dog Agency (which represents most of the well-known companion animals - from hedgehogs to dogs - that are social media users of note). Below is Brussels.Sprout (https://www.brussels-sprout.com/) who was pushing their own little grocery cart filled with toys! I wish I'd caught the name of this majestic canine but he was such a good sport and finally took a much-deserved nap on the convention floor. This dog posed for photos with matching glasses (and a bowtie)! Awww! I wish we were in New York for this. Did you see Instagram-famous animals?